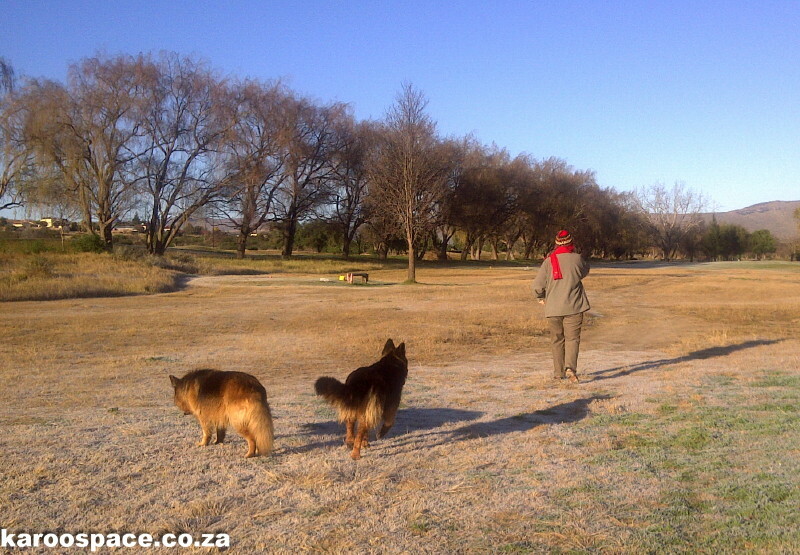 The fabulous Cradock golf course in the dead of winter. 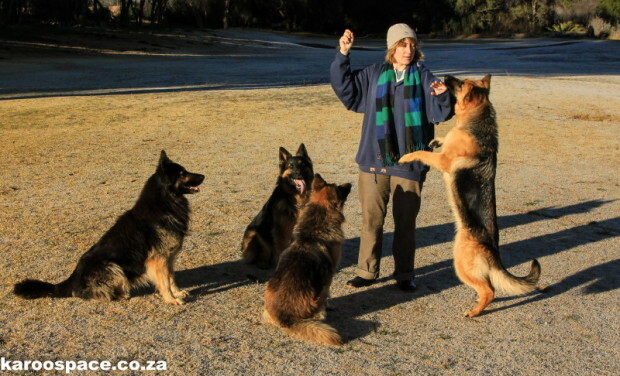 Just the other day, Jules and I were walking our adopted pack of German Shepherds on the Cradock golf course – like we do every morning we’re in town. There was something familiar about the early winter aspect of the golf course: wan sunshine streaming in through the willows, last-gold leaves on the trees and the kind of morning temperature that makes one rather fond of a beanie, a scarf and a pair of gloves. But something was nagging at me. I was, as they say, having a déjà vu moment all over again. 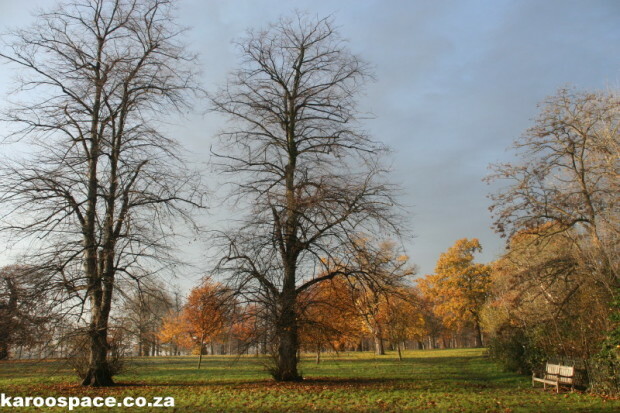 Hyde Park in the dead of winter. I was not letting go of my London-in-Cradock fantasy. After all, our Mother Church looks the spitting image of St Martin in the Fields on Trafalgar Square. And even though they were here more than 110 years ago, there’s a lot of Basic Brit-sign around Cradock in the form of hilltop chessboards carved onto rocks and such. And lots of 1820 Settler stock all through the district on heritage farms. I’m really not an Anglophile. I just think, from time to time, that the Poms have some cool stuff. We began talking about the swans of Hyde Park, and how they all belong to the Queen, when TwoPack, Roxy, Shadow and the shy Nuka suddenly bounded off in a blizzard of barks (?) in the general direction of the river. We followed them and found they had confronted a family of pink pigs. Wandering pink pigs. Very staunch pink pigs. They formed a Roman Square and stood their ground. The Shepherds performed some operatic barking and took up threatening stances but the pink pigs did not back off. Finally, old Shadow glanced at the other dogs as if to say This is getting boring, and sloped off across the greens. TwoPack and Nuka followed. 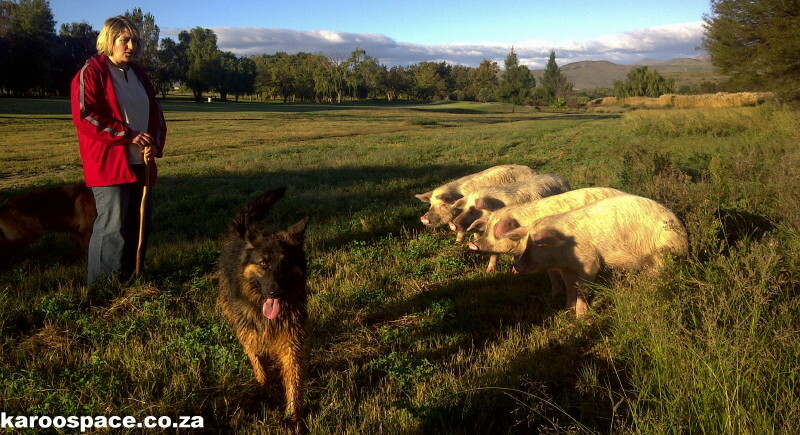 Mother Roxy tried to rally the dogs for an attack, but then the pigs charged and she found something better to do in the distance. “Like London, hey?”, said Jules. 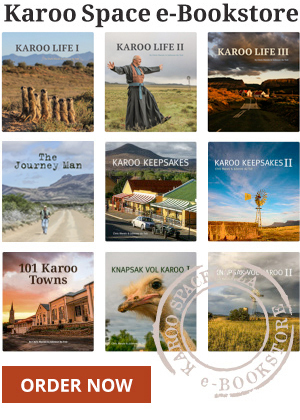 Cradock: Life in a Small Town The Great Karoo Book Safari Legends of the Cradock Club Speaking Graaffrikaans Karoo Space – Deserts in the Blood Snow Patrol Through the Eastern Karoo Walks with German Shepherds in the Karoo Creative Class – My Foot! I enjoyed this story. I have played many rounds if golf on that course. My farther helped to build that course and was an active member of Cradock golf club for many years. I was born and grew up in Cradock, but have not visited there for a long time now. It is a town with character.